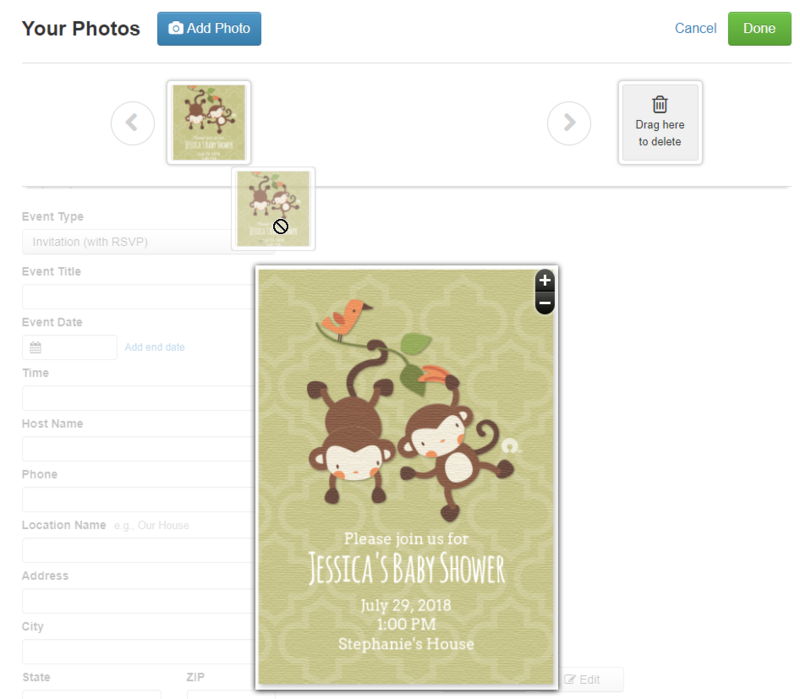 Import your image and it will appear in your Photo Library where you can drag it onto your design. Use the + and - icons to adjust the image as needed. To create your own invitation using the mobile app, first, find a photo that fits your theme and then check out the custom photo designs we offer. Locate the Photo Designs category when you open your app. 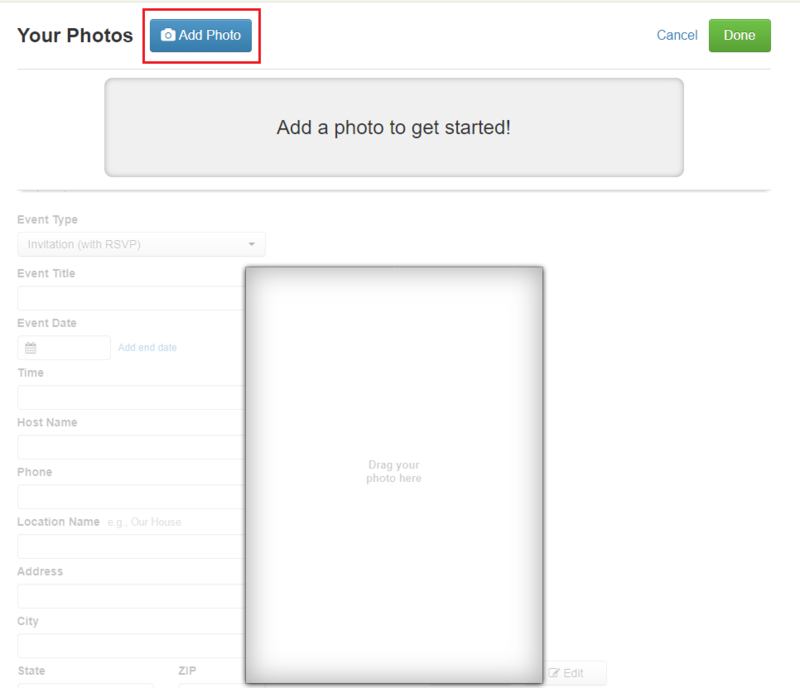 From there, you will be able to resize and crop your image. Tap on the green check mark to continue and then the Finish Editing button to proceed with the rest of your invitation.